Wheels Day, organised by Surrey Street Rodders, is not only the first show on the ClassicLine calendar, but is considered to be the Hot Rod and Custom scene’s opening show – one we look forward to attending all winter! I’m sure we are not alone in saying that we really enjoy catching up with everyone at this event, finding out what’s been going on in garages during those dark evenings and taking a peek at cars fresh out that season. Many people set Wheels Day as their goal for getting their cars ready and back on the road after a winter’s tinkering. 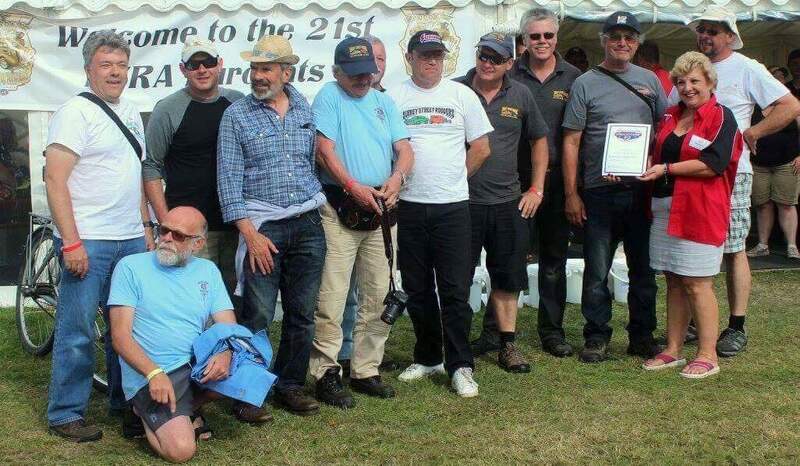 Now most of us who are into the Hot Rod scene will know that Surrey Street Rodders do a lot for their chosen charities, so when we had the opportunity to catch up with the crew to find out who the are team behind this much-loved event, we jumped at the chance. Let us introduce Jason Nicklen, Surrey Street Rodders club Chairman and Wheels Day co-ordinator. Jason has been involved in the club for around 25 years, and as well as being the proud owner of an Austin 10 Hot Rod, Jason also has a bit soft spot for drag racing. Although, his current project is in the form of campervan conversion – did you know, ClassicLine offer insurance options for self-build motorhomes? It’s nice to see a mix of interests within a club and helps fuel the diversity we all love to see at Wheels Day. Jason, tell us a bit about the Surrey Street Rodders? The Surrey Street Rodders are a small club, only around 25 members. We are a mixed bunch, couple of old boys that moan, down to those in their early 20s that think they know it all… but they are all great. I try to get everyone involved with the club – on club nights we go bowling, ice hockey and have BBQ’s, sometimes with our friends at the Jolly Rodders! Our club cars range from Hot Rods to Yanks and even a couple of VW`s. Wheels Day is very well known within the UK Hot Rod and street scene. When did the event first start and where has it been held at over the years? The event has moved around a bit! The first couple of Wheels Days were held in Bracknell, from 1974 onwards. Then some 30 years ago, it moved to Guildford Cattle Market. This move really made the event, it just worked and access was good. There was room for 150 cars…but no one could get out! From there, we moved to a venue not too far from our current place, Pegasus Village in Aldershot. The tarmac was good here but we just outgrew the venue. Then it was off to Brooklands in Weybridge – a good lump of tarmac, this venue was ideal, good roads and lots of space. The only problem was Mercedes bought the site and we had to leave! So, we arrive at Rushmore Arena in Aldershot, our new home. We like it. The grass can be a pain, but the event is now too big for anywhere else local…but we are always on the lookout. Oh, and there was one other venue. The 40th anniversary was held at Dunsfold. When we first saw it, I was admittedly worried as it all looked so good. It turns out they underestimated how many cars we would get and only allocated us a corner of the venue…wrong, lesson learnt! So, this year’s show must have taken a lot of planning? To be honest after over 40 years, it rolls from one year to next. There are around 6 people involved all year, but 3 or 4 of us are on it constantly with a bit here and there. There is Mark who does the Health & Safety side – it’s mad, the amount the Army who own the land need. Pre-entry is looked after by two main guys with two others helping when needed. Gary and Andrew Carpenter look after the online and pre-entry system – you learn one year, so you have to it change for the next year. It’s around Christmas everyone else starts to get involved. I don’t talk to anyone for around a week or so after Wheels Day… best not. I sign the ground back to the Army on Saturday morning, then it’s emails and phone calls to book next year and start the paperwork trail. 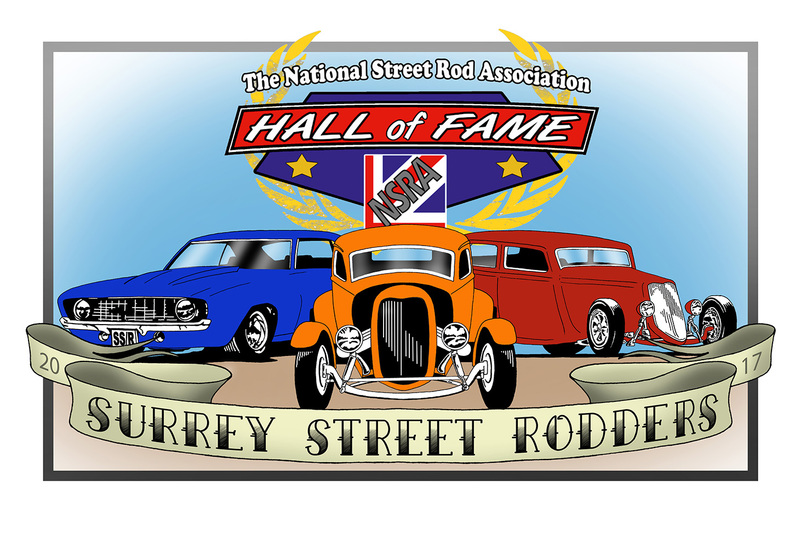 Surrey Street Rodders were inducted into the NSRA Hall of Fame back in 2016. What did this mean to the club? Being inducted was amazing for us. Being a small club it’s hard to keep it going. To receive the Hall of Fame award makes everyone who has helped in the last 44 years feel proud. I commissioned Tootall to do a piece of artwork for the club to celebrate, had them framed and gave out to club members past and present – there were some very chocked up Hot Rodders. Are there any Wheels Day moments that stand out for you over the years? When you organise shows, you miss most of it as you are too busy! We did have a guy a few years back ask his girlfriend to marry him at the show. He laughed and said he couldn’t forget the date! Our show compere, John Price, made the most out of it. What other events do the Surrey Street Rodders organise? We organise the Surrey Street Rodders Picnic. It is always a good excuse to pick small lanes in the area for a run out. We have a half way tea stop and try to find somewhere different to end up each year. The last event we took around 35 Rods to the Tangmere Aviation Museum. Jason, what do you feel most proud of? Surrey Street Rodders do a lot for charity, not just with the proceeds of Wheels Day, but all through the year. Tell us about the charities you support? Where do I start! We try to do everything we can for the people you don’t get to hear about. We buy wheel chairs, we support people with cancer, brain tumours, local Scout groups, as well as Bluebells Hospice, a local hospice for adults and children. We often hear about causes through Eagle Radio. This year, we have just sent a young girl who lost her dad last year to Euro Disney for a couple of days to try to make her smile. We have hired a VW camper for a break away for a 48-year-old guy with brain clot who may not make Christmas. And, we are supporting Challengers Guildford, a help centre for handicap children. Since this years event, we have sponsored a guy with a brain tumour who ran the London Marathon in 5 hours, 36 minutes. There is also our mate Max. Max is 5 years old and has been the club mascot for a couple years. He has many challenges, including being told he would never walk. We help with him; he has a great little buggy with a club sticker, rain gear and walking aid. It was amazing to hear he took a few steps on his own a few months ago – great lad, love him. So, these are the people behind one of our favourite shows. Working hard behind the scenes and trying to do as much as they can for others. Surrey Street Rodders, thank you for being our car club of the month. 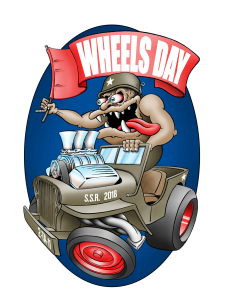 See you at Wheels Day 2019!